Telemundo also announced the creation of a Los Angeles-based production studio, Fluency, that will produce content for Latinos in the U.S in both Spanish and English. Emilio Romano, president of Telemundo Media, said he's hoping the "American Idol" host will use his connections and leverage to attract talent. 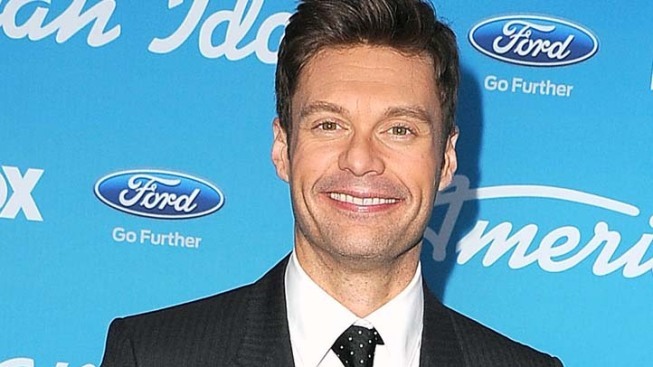 Ryan Seacrest will produce a new music series for the Spanish-speaking Telemundo network that will feature two established artists competing against each other for the audience's vote. The format for "Superstar Showdown" has been successful in other countries. Emilio Romano, president of Telemundo Media, said he's hoping the "American Idol" host will use his connections and leverage to attract talent. The network hasn't publicly set a start date for the series. Telemundo announced several of its programming plans for next season on Sunday. The network usually gets less than half of the audience of the dominant Univision. Telemundo had its highest ratings ever during the first three months of 2013. "We've been the underdog for so many years and we've been given the mission to fight and fight hard," Romano said. Telemundo will air five new telenovelas next season. The prime-time soap operas, stuffed with melodrama and romance, are generally the programming backbone for Spanish-speaking networks. One new series, "Camelia la Tejana," is based on a popular song and features a young woman trying to escape from one of Mexico's most powerful drug lords. Romano said he hopes Telemundo can distinguish itself from its competition by creating telenovelas specifically with the U.S. market in mind, instead of remaking series that originated in other countries. He hopes they will speak more to an American audience concerned about immigration issues and nostalgic for the countries they left behind. One example he gave was last year's remake of the movie "Maid in Manhattan." Telemundo is expanding its sports coverage. The weekly show, "Titulares y Mas," will begin airing all weeknights at 11:35 p.m. The network will also start a daytime game show that pits youngsters against adults.